The water jet can be used in nearly every industry; there are many different materials that the water jet can cut. Waterjet technology is ideal for cutting heat-sensitive material. Waterjet cutting gives you a highly precise cut, and eliminates heat-affected zones, toxic fumes, recast layers, work hardening, and thermal stress. 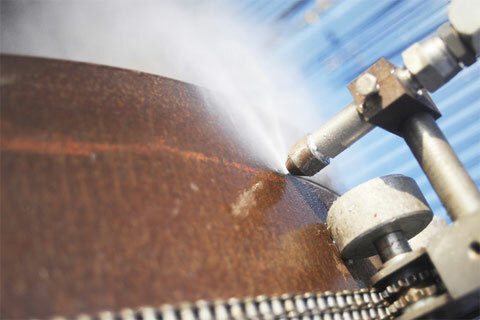 With waterjetting, you will never need to shut down to sharpen or clean blades. Eliminates the need for plant shutdown. The pump is versatile which allows for other cleaning & cutting applications. While cutting with water is possible for soft materials, the addition of an abrasive turned the waterjet into a modern machining tool for all materials. 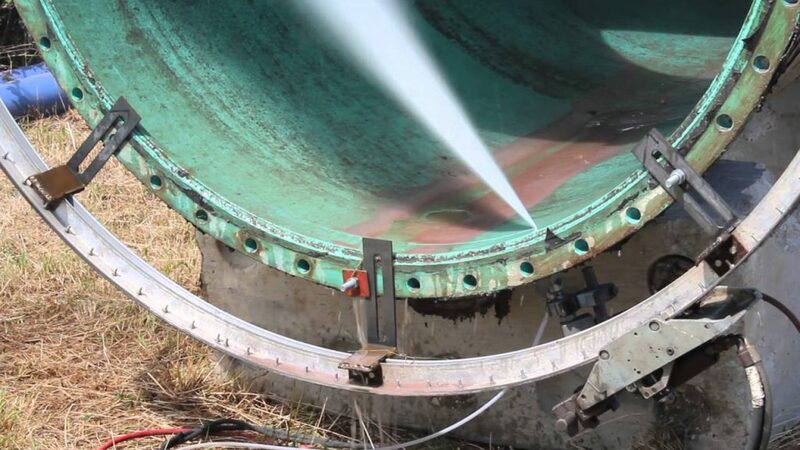 Cold cutting is often used for the demolition of plant facilities, providing access to tanks and columns, removing refractory; both internal and external, concrete cutting and scabbling, and surface preparation through coatings removal. Cold cutting is highly effective for cutting steel, composites, and almost any other hard material. Using cold cutting reduces dust, cutting oils, vibrations, and waste products, while preventing mechanical or thermal stress. This ecologically sound solution is very precise, and expert technicians can create systems to handle any cold cutting task.